Despite the worryingly mild temperatures, we feel winter has truly arrived in the forest. 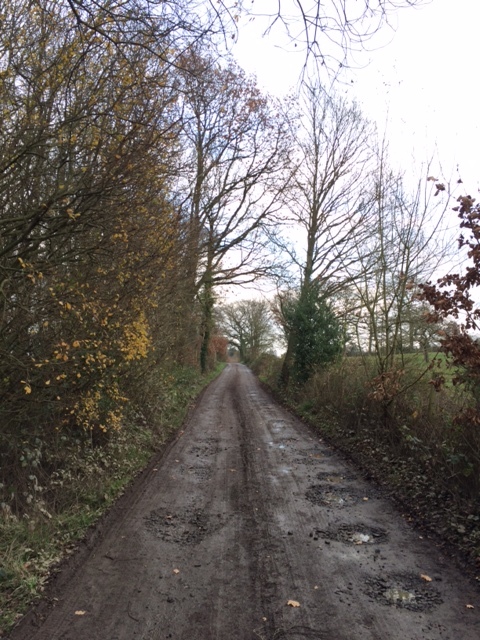 We can see further through the leafless trees than ever before and our boots are now permanently covered in mud! New neighbours have arrived on three sides of St George’s Farm. Beautiful black Dexter cattle grazing in the top field, with their young calves Jasmine, Josephine and Juniper. Beyond the orchard, Amy and Ricky moved into the bungalow a month or so ago and are expecting their first baby in April. And in a caravan next to one of the barns lives another Amy who with three more young women makes up the amazing team that manage the farm and woodland here. During the last few weeks our many visitors, old colleagues, friends, family and volunteers have been up helping to plant the orchard. We’re halfway there with over trees 80 are now in place and almost 70 to go! Planting is not as straightforward as it sounds: each tree takes about an hour including fencing to protect them from deer and rabbits, and stakes to support them in the wind. The last meeting this year of the Wyre Community Land Trust was held earlier this week. Lots of exciting plans were discussed for the New Year and the good news shared of some funding which will support the development of the project. This will be our first Christmas at St George’s Farm. We’ve been to the wonderful mistletoe festival at Tenbury Wells, wrapped presents at Bewdley Museum for Santa to give out to local children, and attended the Christmas lunch for Community Land Trust volunteers, as well as a wreath making workshop in the Ruskin Studio. We now look forward to our family arriving on Christmas Eve to help us celebrate. Two seasons have passed since we arrived in Ruskin Land. Although winter will be around for a while longer, like many of you thinking of the coming New Year we are looking forward to our first spring here, the first blossom on the apple trees and the wild flowers in the fields and forest paths. Best wishes to you all for Christmas and the New Year from Ruskin Land! One of the critical issues we face in realising the ambitions for Ruskin Land is physical access. It is a complex matter but it’s one we need to overcome if we are to enable greater public involvement in this place while safeguarding its special qualities. The conflict between access and conservation has been one of the longstanding subjects of debate in the environmental world. The dilemma is clear: the best way to encourage greater public understanding and support for the environmental agenda is to allow greater contact between people and nature but how can this be achieved if that contact has a damaging impact on the environment? The conflict is most acute in looking after sensitive wildlife sites. Ruskin Land, sitting in the middle of a National Nature Reserve, is a classic case. The Forestry Commission, the Government body responsible for the public forest estate has done a lot to encourage public recreation in recent years. (Indeed, that is one of the main reasons for the widespread public protest that met Government proposals to sell off parts of the estate in 2012.) Its Visitor Centre at Callow Hill, just a few miles from us, is a good example, providing extensive, well maintained paths for walkers and mountain bikers. This managed network is a good way of accommodating a large numbers of visitors and minimising intrusion into sensitive wildlife sites on the estate. Most of those visiting Callow Hill do so by car requiring an extensive area for parking. 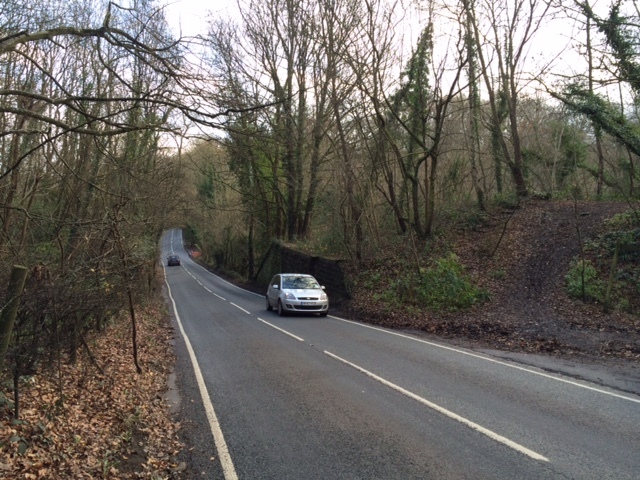 This is not an option for Ruskin Land, especially given the narrow, often muddy, pot-holed and rutted access road. More importantly, we need to discourage car use to maintain the tranquillity of the area and help protect the wildlife. That’s why it was enlightening to hear, last week, of an initiative to improve public access to the forest by other means. The aim of this initiative is to provide a safe means of reaching the forest from nearby Bewdley by providing a link from the River Severn which runs through the town (at a dangerously high level as I write, necessitating the deployment of temporary flood defences by the Environment Agency) to the disused railway line which runs through the forest. The line, along which passenger trains ran from Bewdley to Tenbury Wells until 1962, is part of the national cycle network set up by Sustrans (Route 45). Local campaigners have been working hard to fix the crucial missing link over the past few years. It has been painstaking but progress is being made. We also want to address the access needs of people with mobility needs and wheelchair users. This is vital for our goal of providing opportunities for all to discover and enjoy Ruskin Land. As is the challenge of providing for people living in the nearby Birmingham conurbation who may face less physical but no less real barriers to access. One way forward of is to expose the challenge we face in managing access. Using blogs like this to explain the difficulties and explore solutions can be helpful. Stimulating a debate over how to resolve the tensions, such as through a ‘parliament of the woods’ as suggested at our recent seminar (see previous post), would be a good way to do this. Providing alternatives to the more intrusive means of access is vital, particularly by making it easier to get to the woods without using a car. In the longer term, this might also involve running a dedicated minibus service or a local bike hire scheme. Realising the objective of promoting access while safeguarding the special qualities of Ruskin Land will not be easy. But its a challenge we need to overcome so that this place that can benefit and inspire all sections of the community.